The Gear4music Student Flute is a reliable and easy playing instrument ideal for beginners and students. 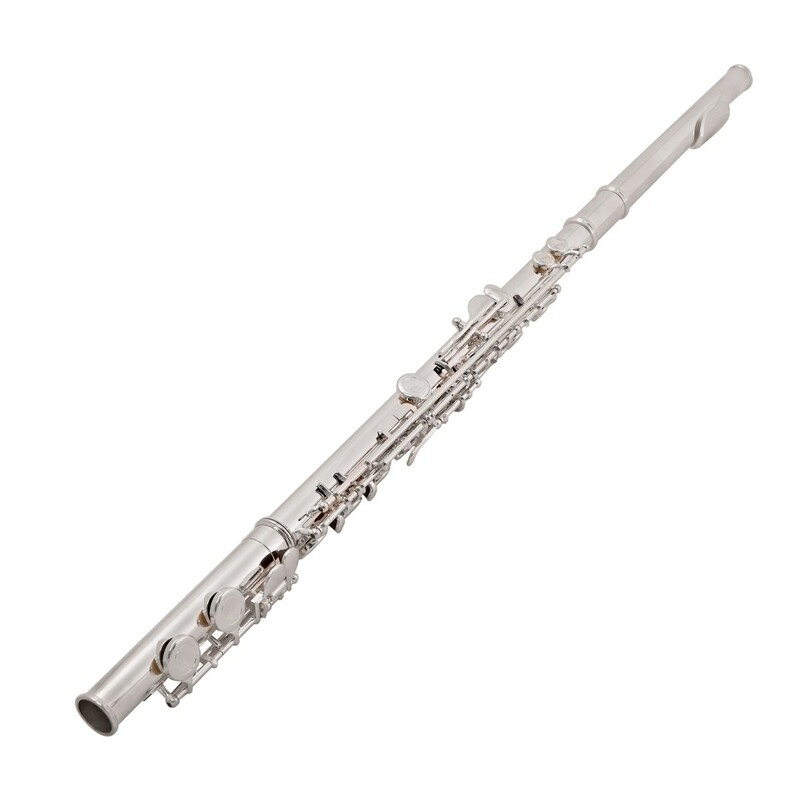 The flute produces a strong, smooth tone with an easy flow of air throughout the registers making it ideal for newer players progressing through the early grades. The cupro-nickel body is durable yet lightweight and perfect for smaller hands. 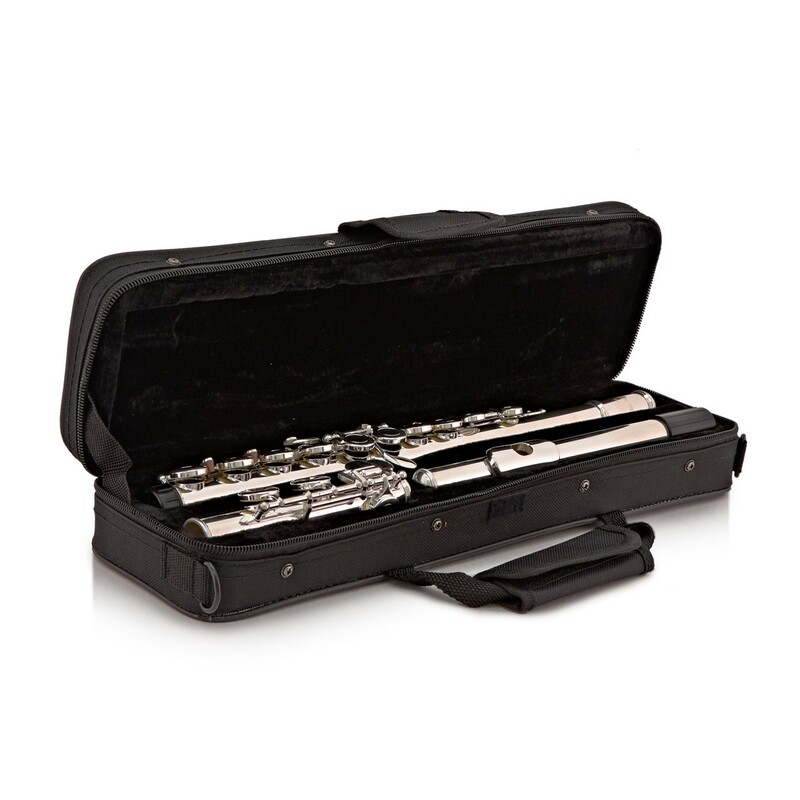 The flute comes complete with a case, cloth and rod providing everything a new player needs to get started. 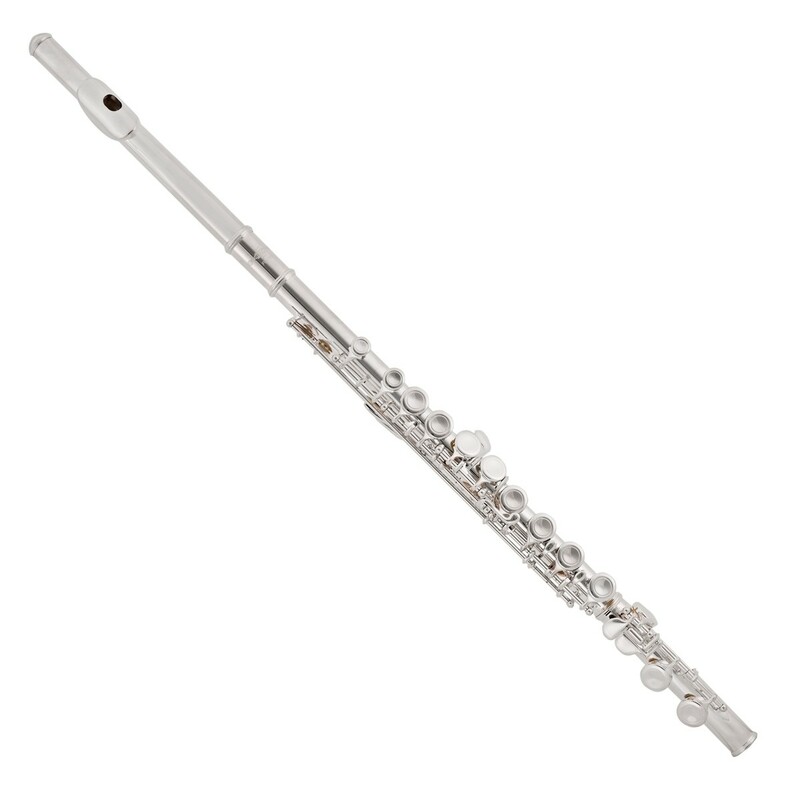 This Student Flute has an offset G mechanism which is much more comfortable for most players, especially those with smaller hands. It also has a split E mechanism which means the top E note is easier to play, producing a brighter sound without affecting any other notes. Both these features are beneficial to new players producing a much more rewarding playing experience as they progress. 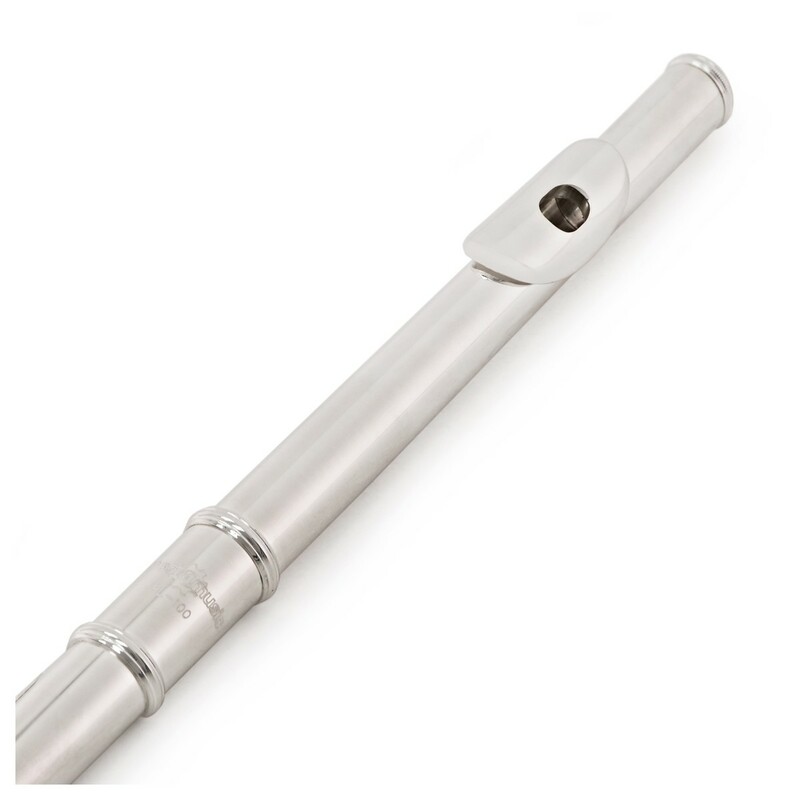 The closed hole design of this flute makes it a lot easier to play than open hole models. Beginners will appreciate the drawn tone holes which result in an easy action and smooth sound. The springs give a light and easy to use action that improves intonation and improves playability for quicker, smoother playing. 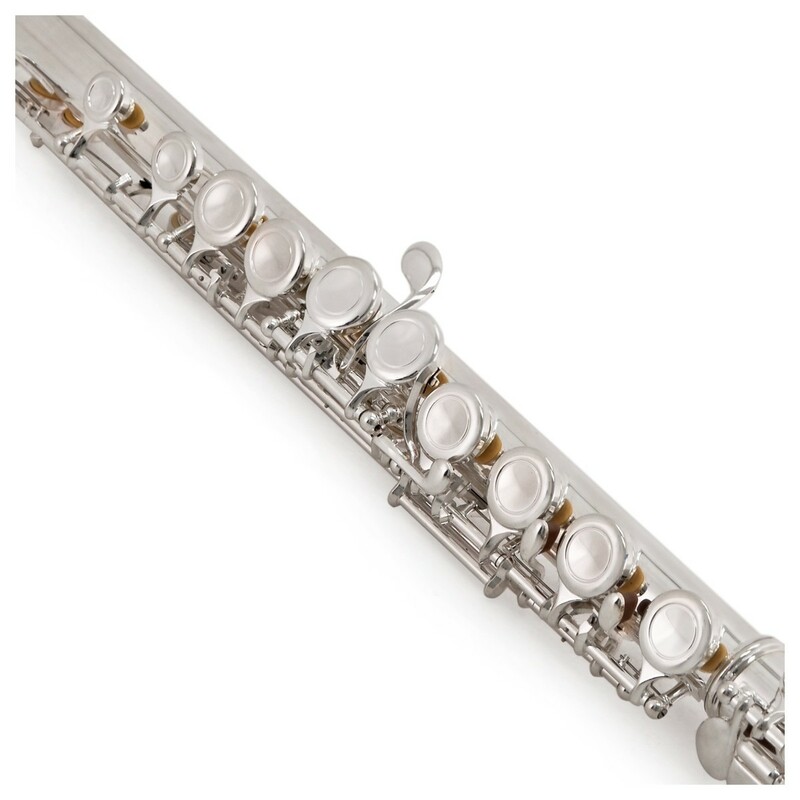 The standard 'C' footjoint also allows the student to play all the way down to bottom C.
The flute's body is made from cupro-nickel - a lightweight, corrosion resistant alloy resulting in a long lasting instrument that can hold up to the occasional bump and scrape. The coating is formed of combined nickel and silver which produces a durable and attractive finish. This flute comes complete with everything a beginner needs to get started. 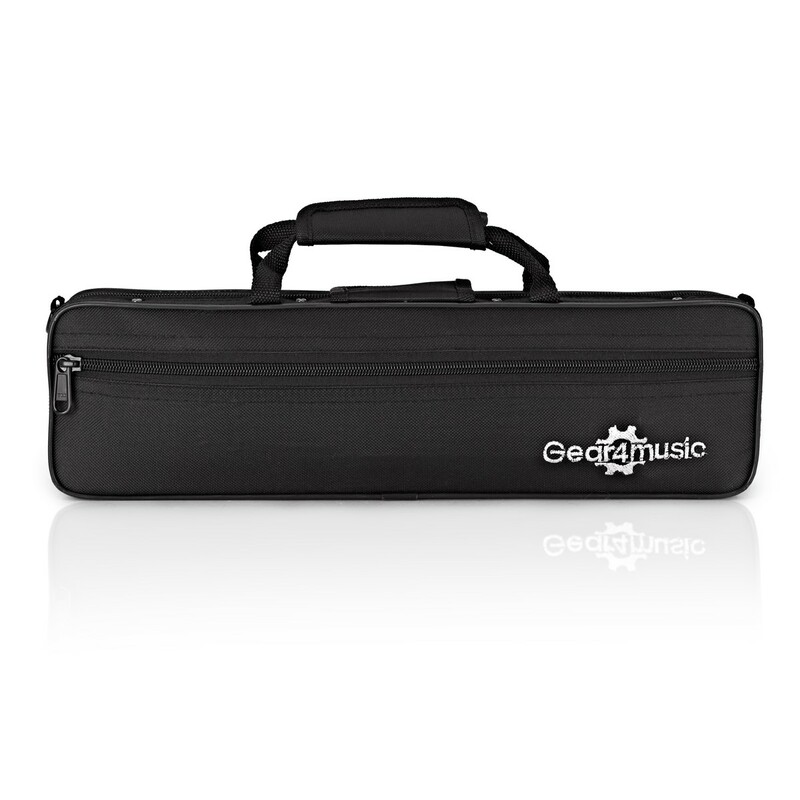 Included is a solid carry case that makes transporting and storing the instrument simple. A polishing cloth and cleaning rod help to keep the flute in good condition. If you're just starting out you might be interested in the Flute Beginner Pack by Gear4Music which includes a number of additional accessories such as music stand, care kit and CD.